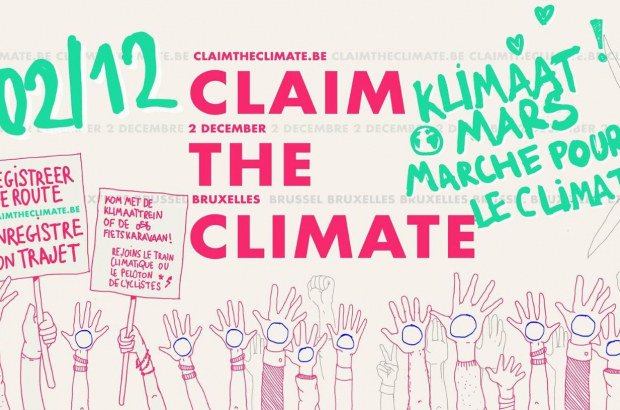 Between 20,000 and 25,000 people are expected to take part in Sunday's climate march in Brussels, police have forecast. Demonstrators will begin to gather around Brussels North station from 11.00 and the march is due to set off at 13.00. The route will take in the Boulevard Roi Albert II and the inner ring past Botanique and Madou, before heading down the Rue de la Loi to Schuman and Cinquantenaire park. A separate group of up to 1,500 cyclists will set off from the Gare du Nord but head to Rue de la Loi in the other direction, via the canal, Porte de Hal, Louise and Porte de Namur. The Brussels-Ixelles police zone is warning of major disruption to traffic in the city centre and EU district. The Cinquantenaire, Loi and Reyers-Centre tunnels will be closed towards Brussels. The inner ring tunnels are also subject to short-notice closures. Stib is offering free public transport throughout its network on Sunday. The SNCB is selling a flat-rate €5 "green ticket" to help people get into Brussels for the event.